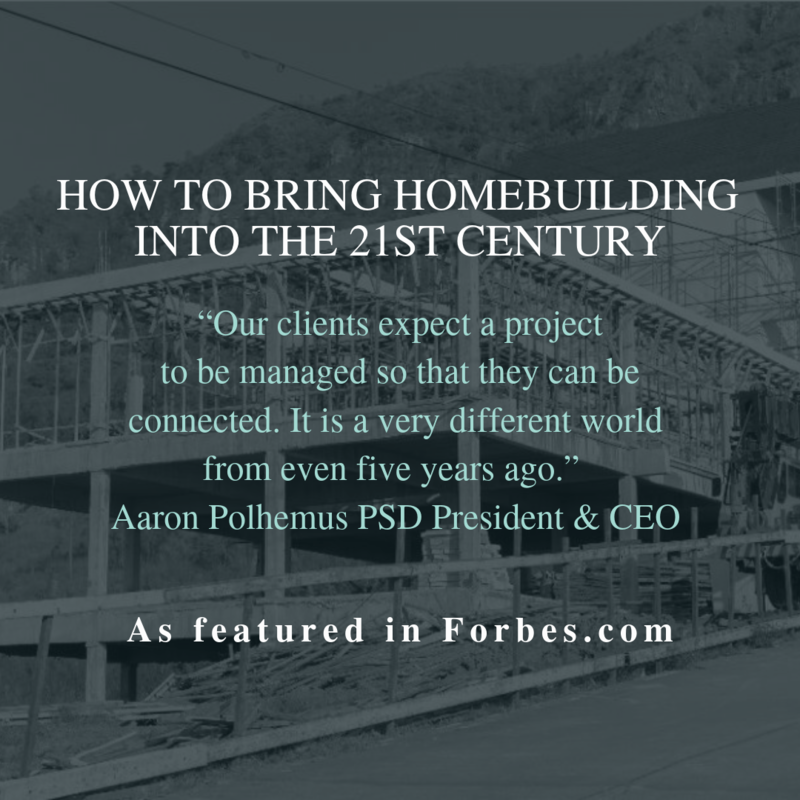 PSD is honored to be showcased on Forbes.com for embracing and leading the shift in the custom residential home building industry. From Article - "Our clients expect a project to be managed so that they can be connected," Aaron Polhemus, PSD President & CEO says. "It is a very different world from even five years ago." In response to the demand for information and clarity, his firm has put in place a process that shares a project management system with the clients. "They share our screen and can see it from anywhere," Polhemus says. "It gives the client full transparency and visibility and it streamlines the process with multiple points of contact. It forces everyone to stay on track."